Tolsdorf.NET » What's in a Name? Home > Travel	> What's in a Name? We are planning our first family pilgrimage to Disney World this October. We are also going next June, so my original thought was to purchase annual passes. The cost/benefit ratio seemed high enough, there were discounts and other perks for annual passholders. Plus the convenience of not having to mess with tickets every time is worth something. 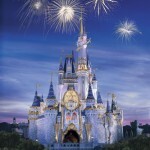 I was on the Disney World website last Saturday night (8/1), ready to purchase 5 annual passes. I had them in my cart and went to check out, but lo, I need an account. No surprise, this is the marketing engine that is Disney. So I dutifully filled out the form and clicked submit…only to learn that something I entered was considered “filthy”. Hmm, that’s strange, I didn’t enter anything naughty, yet the form is telling me it’s either my first or last name. Surely it’s not Jeremy, which leaves only Tolsdorf. Well, almost there…the only catch now is my email address. It’s tolsdorf.com, and apparently it’s filthy, too! When all else fails, reach for the telephone, right? Wrong. It’s Saturday night, do you really think there are Disney ticket agents available? I was finally able to register with Smith as my last name, and somehow managed to find a form that allowed me to use tolsdorf.com in my email address, so now I’m set, right? Well, not exactly. Disney traditionally updates their pricing the first Sunday in August…which means those annual passes are about to go up by about 5%. Sure enough, by the time I can get back to them, new pricing has been loaded and the grand total just went up by $94! This all happened prior to midnight as well, which is when new pricing is supposed to begin. The entire ordeal necessitated a friendly email to ticket services, which I am sure will be faithfully read and acted upon. My calls to Disney the next morning were useless. All of their ticket agents were told in no uncertain terms that new pricing was in effect, period, and my filthy name wasn’t going to change their mind. In the end it actually worked out for the best. I’ve revisited our ticket needs, and I don’t think I’ll spend the extra money for those annual passes after all. I would rather spend the money on activities with the kids while we’re there, a trip to Disney is all about making memories anyway. I suppose Disney still gets the money, but at least I’ll have more fun this way. As long as I’m allowed in the park with such a filthy name.